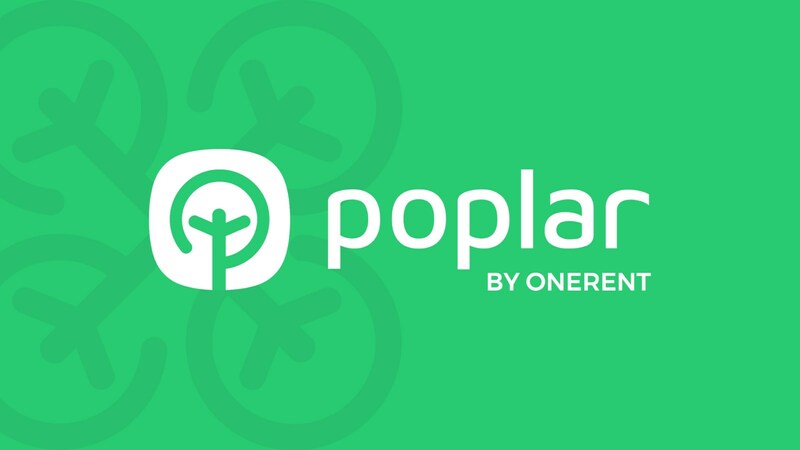 Onerent, a venture-backed real estate technology, and services company, announced today the launch of a new product called Poplar Street – a new way to rent-to-buy a home. Renters can rent a home with Poplar Street and get 20 percent of each month's rent payment added to their "Poplar Home Savings" credit which they earn as cash back when they buy a home. Poplar Street is available first to renters living in one of the homes in Onerent's $1 billion investment property portfolio managed across the San Francisco Bay Area, Greater Los Angeles, San Diego, and Seattle areas. Renters outside of Onerent can sign up for the waitlist and request Poplar Street at any rental property in our outside of the current markets. Qualified renters who sign up for Poplar Street and lease a property through the company's leasing platform can build your Poplar Home Savings with each month's rent payment starting today. They can redeem the savings when they buy a home as soon as January 2019. The product provides an alternative way to save money for your future when rents across the country continue to rise. Rent is the largest monthly expense for nearly 45 percent of households in the U.S. Renters typically never see a return on their monthly rent payment. Traditionally, renters were advised to drastically reduce spending, even cutting back on some basic necessities in the effort to save up for a home. Poplar Street has no hidden fees or additional charges to build Poplar Home Savings credit. Instead, the company funds the cash rebate with the commissions they earn in the purchase/sale of a home. Renters can earn up to a maximum of 100% of the buyer's agent commission cash back. Traditional rent-to-own agreements are binding and complex in nature. Poplar Street provides more flexibility to renters and property owners. In the typical rent-to-own model, renters are locked-in to buying the home that they're renting for a predetermined purchase price usually set above current market value. By contrast, Poplar Street offers the freedom to save for a home in any market the company or its affiliates are licensed in. Rent-to-own is also uncommon in high-priced real estate markets like the ones first getting access to Poplar Street. It's not as attractive to homeowners in these areas because a high sales price and quick close on a home is more certain in somewhere like San Francisco. With Poplar Street, renters receive the same fundamental benefits of rent-to-own but without the traditional, limited structure. Rent-to-own sometimes requires an upfront payment of 2-7 percent of the purchase price of the home. Poplar does not. There is no additional cost or increase in rent for those using Poplar Street. Rent-to-own agreements may require the renter to be responsible for maintenance and its associated costs. Poplar Street renters are not required to expend additional costs on maintenance. If a renter decides not to exercise the option in a rent-to-own contract, they forfeit a certain amount of funds already paid. With Poplar Street, renters carry no risk or liability – there is no obligation should they opt not to buy a home through Onerent. Onerent reports over 75 percent of its current residents wish to buy a home in the next 5-7 years, but the challenge of saving for a down payment is greater than ever before. Any interested renters can join the waitlist to lease a home with Poplar Street or refer their existing landlord. Poplar Street is Onerent's first product outside of its technology-enabled property management service. The company's team and platform are set up to provide a consistent and reliable rental experience for both a property owner and renter without hidden fees and hassles. They merge an online experience with boots-on-the-ground operations to offer a complete and personal service from move-in-to move-out of a home. Their on-demand approach has proven to reduce the time and stress that's involved in renting a home or apartment, and they're taking that approach now with home buyers. The company is venture backed with a total of $8.5 million in investment, led by Renren Inc; XG Ventures; Jeff Dean, Google Chief of AI; Bob Moles, Founder of Intero Real Estate; Neal Dempsey, Managing General Partner at Bay Partners; Michael Zee, Former Director of Legal: Asia-Pacific, Google, and other Google executives.